If we’re being brutally honest, that’s what the first game really was: a proof of concept. An online multiplayer exclusive game that suffered from a lack of a real single player element, as well as an underwhelming selection of game modes. 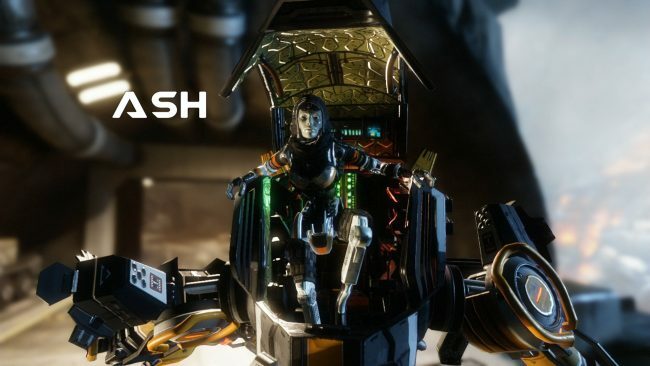 Ironically, it seemed Respawn were well ahead of the curve even then, as what killed their game in 2011 has become a widely accepted norm in the shooter genre in 2019. Even the sequel had an uphill fight ahead of it though upon its release, done no favours by their publisher; EA’s decision to release the game weeks between, not just Activision’s Call of Duty: Infinite Warfare and Bethesda’s Dishonored 2, but within a week of another of their own published games in Battlefield 1. EA seemed determined to shoot Respawn in the foot right from the start, and by proxy, themselves. Two and a half years later, things haven’t changed all that much. 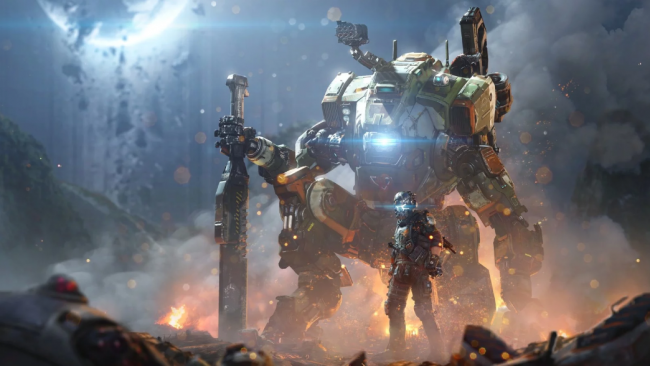 Thanks to EA’s “expert” business strategy, Titanfall 2 didn’t end up selling as well as they might have hoped, much to the chagrin of Respawn head Vince Zampella. All of those people who consequently ended up missing out on this in 2016, they were deprived of a real gem, certainly the best competitive shooter to come out in 2016 that wasn’t called Overwatch. The nuts and bolts of the game were already established thanks to the widespread praise of the premise established in the first game, the high mobility pilot gameplay, involving wall running, double jumping and grappling around at high speeds, combined with the heavier gameplay of the titans, along with the interplay between the two states of gameplay. Not having to worry about introducing the whole concept of titans, there’s a sense that every interesting idea anybody at Respawn had in the seven years between this and Modern Warfare 2, they pinned to a wall. And then decided to go ahead to go and do all of it anyway. Most of this comes into play in the game’s campaign, which is a wonderfully weird set of gameplay concepts, pop culture references and unusual set pieces that make the whole of it into something especially unique. The rest of the story concerns uncovering the plans of an illicit mega corporation developing a planet destroying super weapon and the race to stop them using it on the home base of the resistance movement. But none of that is really what’s important, what is important is the developing Ro-bromance between Cooper and BT-7274, who I’m certain they intentionally made to sound like Optimus Prime. Like the best of the classic action movie franchises from the late 80s and early 90s, which I feel this game works to evoke in a number of ways, the minutia of what’s going on is secondary to the quips, the character moments and the action set pieces that happen to be on screen at any given time. Each mission if the game feels totally different from the one that comes before it and the one that follows, throwing brand new gameplay concepts at you and then replacing them with something totally different before you can start to get bored of them. after getting a handle on the controls, in the first mission, you’re thrown into a huge facility, running along an assembly line that manufactures prefabricated towns, traversing houses on the walls as they’re pieced together around you. After that, the game plops you into a ruined facility that was creating a super weapon so powerful that time itself distorts around you. Resulting in you finding tool that allows you to actively jump between the past and present, which have tow different sets of enemies to deal with simultaneously, as well as incorporating it into jumping puzzles in which platforms only exist in one of the times. Each of these stages ends with a boss encounter with one of the members of the Apex Predators, who themselves are a quirky group of references and strong accents. I mean, Richter is as blatant an Arnold Schwarzenegger reference that has ever existed in media, and Viper a vector for Aliens and Top Gun references. To condense everything I’v described up to now with a painfully reductive single word: it’s just fun. 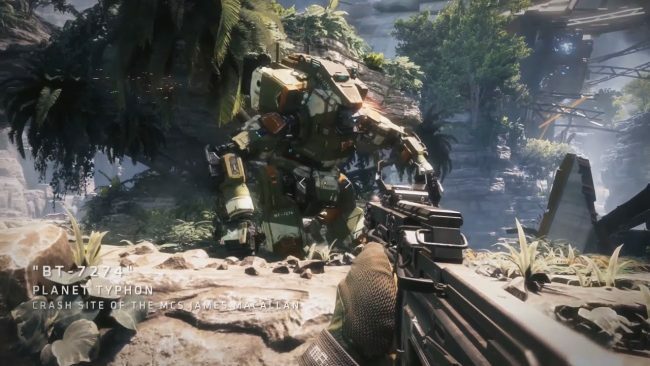 In a time where so many shooters were taking themselves too seriously, Titanfall wasn’t afraid to be goofy, to shove Lord of the Rings and Cowboy Bebop references in its game. The developing relationship between Cooper and BT is shlocky in all the best ways, from him learning the thumbs up to this “I detect sarcasm” line to the “protect the pilot” hero moment at the end. Even going back to it today, the campaign still holds up really well, both from a visual standpoint and a gameplay standpoint. Respawn really know what they’re doing, as they’ve shown between this and the two Modern Warfare games they made. It just makes me more excited to see what their new Star Wars game ends up being. If you have access to Titanfall 2, and you’ve been enjoying Apex Legends, I highly recommend going back and playing this again. Even the multiplayer modes were surprisingly populated this long after the game’s release. So there’s really no better time. Titanfall 2 is a fantastic game that deserved a whole lore more praise and respect from EA than is ended up getting. Silver lining though, turning this into an annual franchise probably would have ended up killing it off anyway. I just really hope this new Titanfall game reportedly in development isn’t just some phone based card game, I really need to dip back into this universe, titans included. 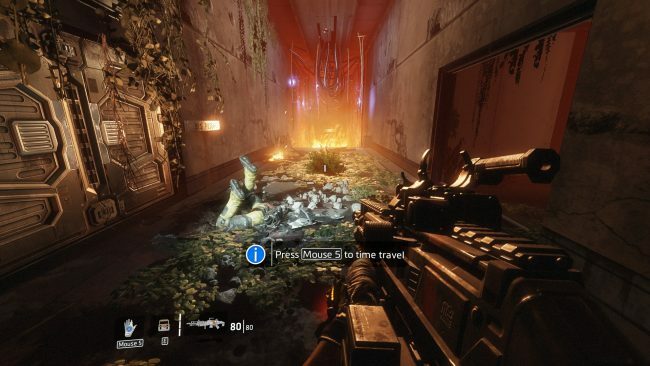 Posted on February 22, 2019 February 22, 2019 by WooderonPosted in Looking Back At:, Video GamesTagged apex legends, bt-7274, ea, respawn entertainment, titanfall, titanfall 2.